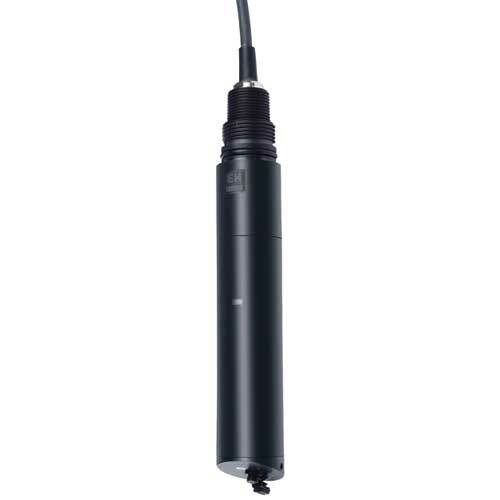 optical sensor for turbidity measurement acc. DIN EN ISO 7027. Optical turbidity measurement following the 90° scattered light method in the near infrared (880nm). Infrared sender with two receiver for low and higher range as wll as a reference receiver. Chamfered sensor head to optimize the self cleaning and additional with wiper to remove micro bubbles from the optical window.